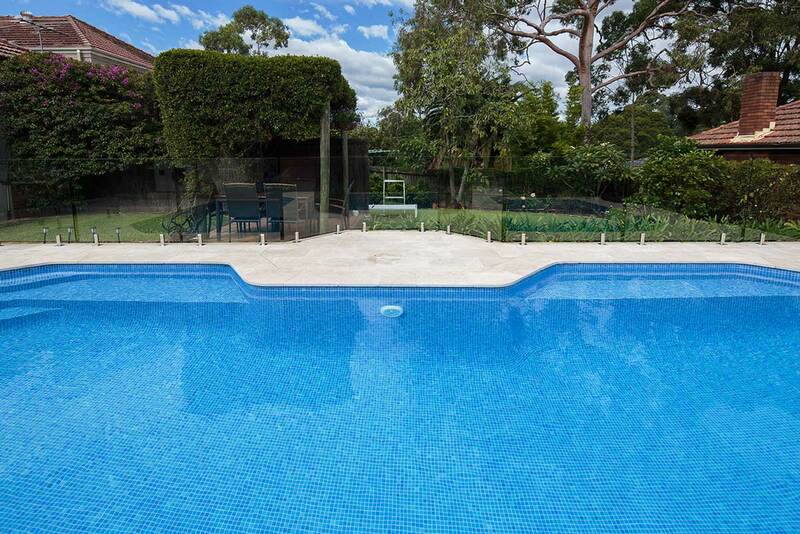 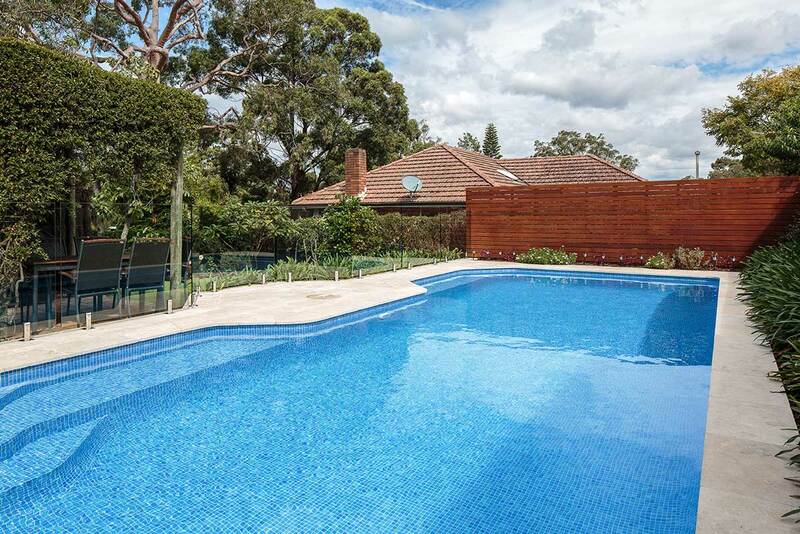 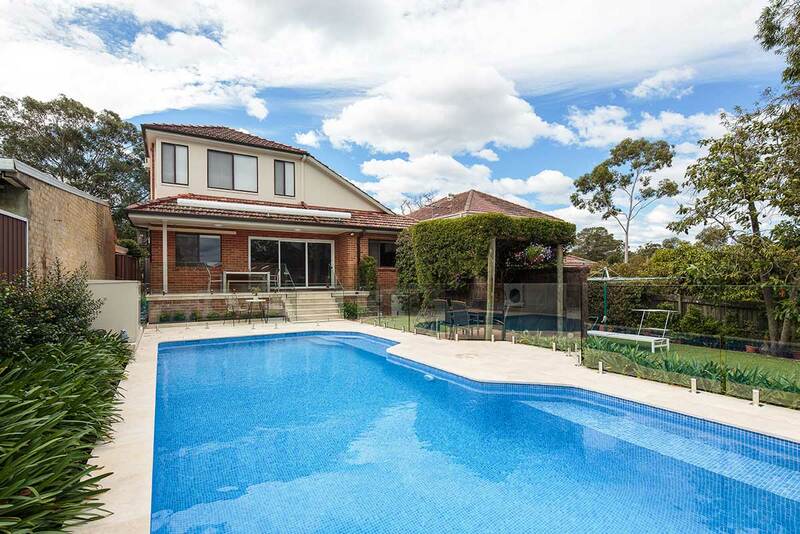 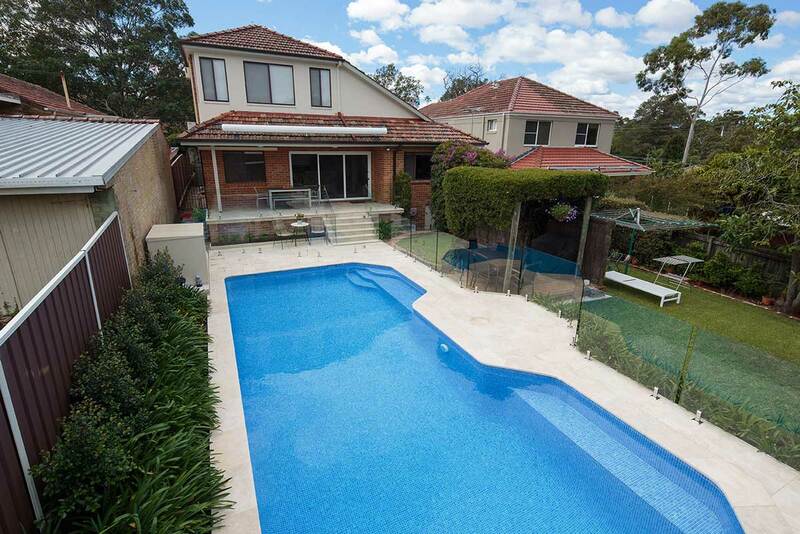 This Killara pool renovation needed to be upgraded to not only look smart but to encourage their teens to spend more time at home. 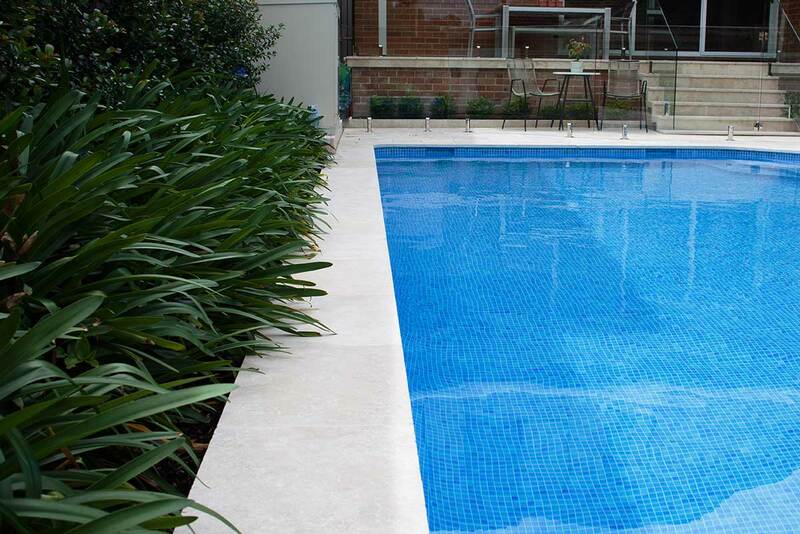 A complete refit was completed including reshaping the pool, the addition of new features, replacing the existing lining and upgrading the coping. 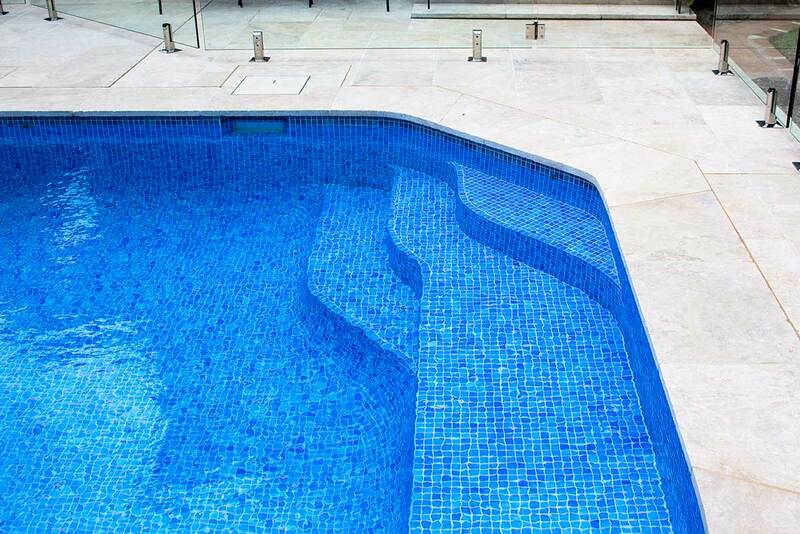 Featuring wide steps for lounging and a premium finish, the pool was fully-tiled with Bora Bora and surrounded with natural stone Travertine tiles for the coping. 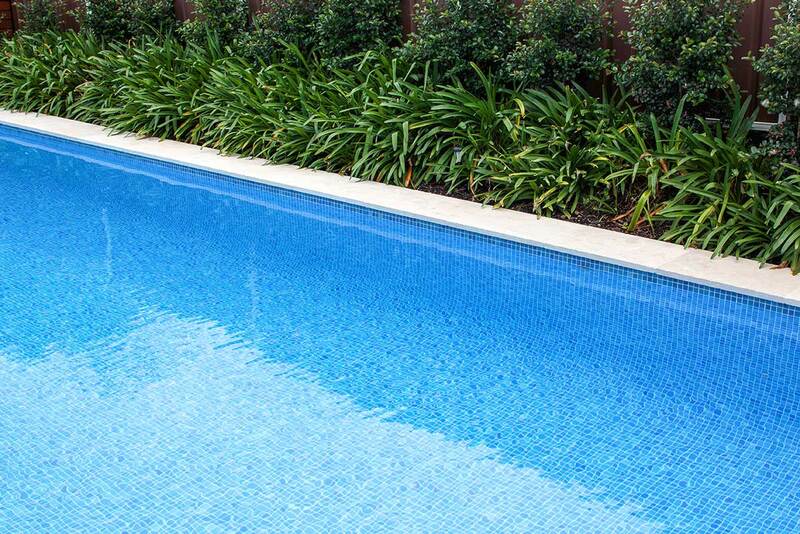 To enable year-round swimming, Crystal Pools installed an H17 Oasis heating system as a quick and energy-efficient pool heating solution.